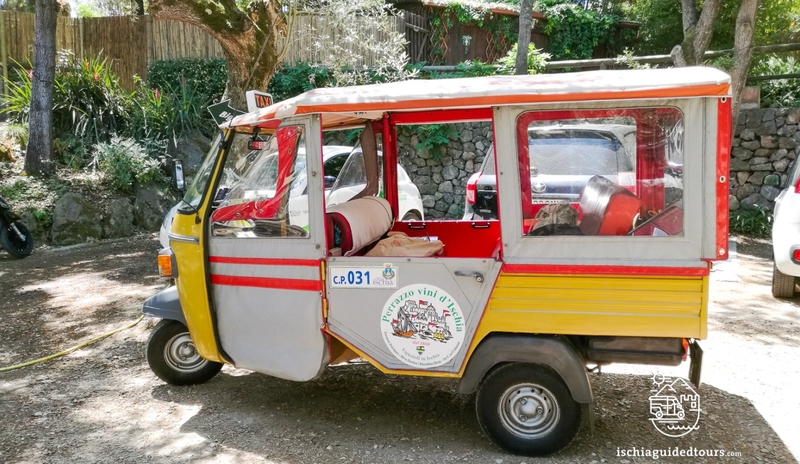 The three-wheeled “Ape car” is one of the iconic vehicles of the Italian “Dolce Vita” lifestyle and in Ischia there are still a few left, called “microtaxis”. 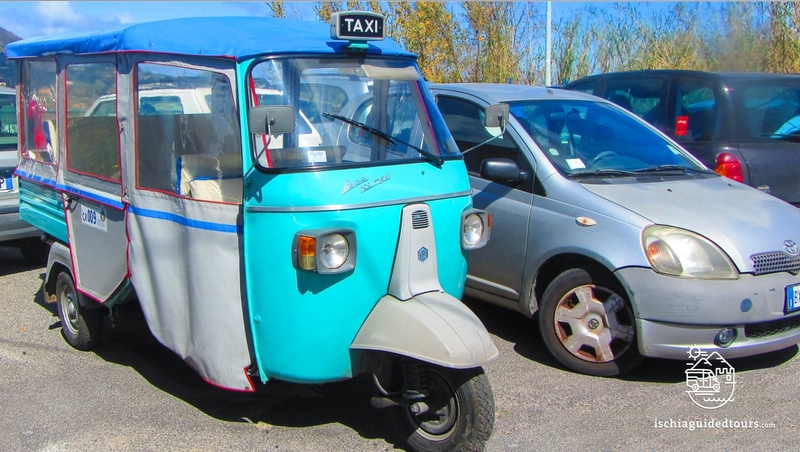 Microtaxis are an alternative version of the regular taxi that you can only find in a few regions of Italy. They are bright, colorful and charming and they can hold up to 4 people. 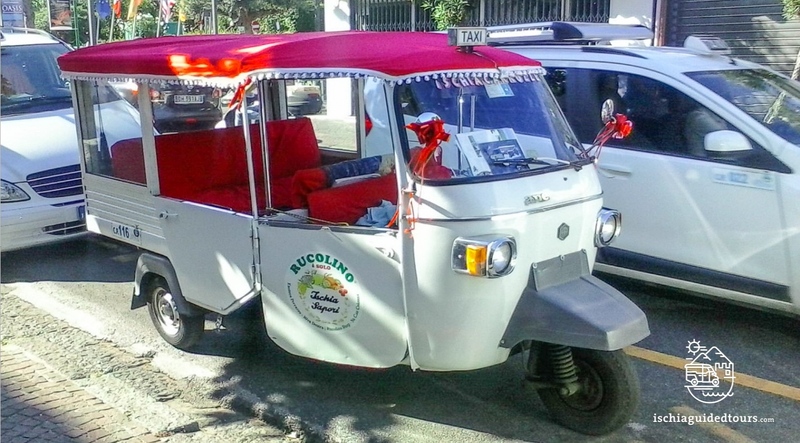 Don’t miss the chance to experience a fun and unique way of touring Ischia by taking one of these colourful and vintage tuk tuks! 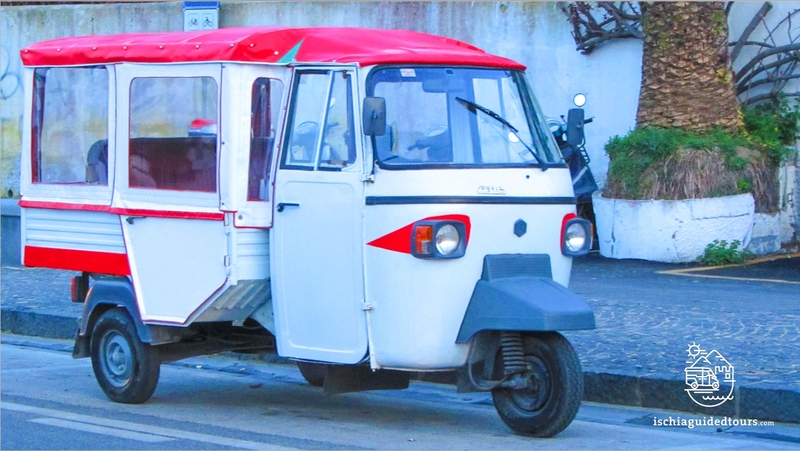 The tour starts from your hotel in Ischia or from any port of the island if you are visiting Ischia for the day. 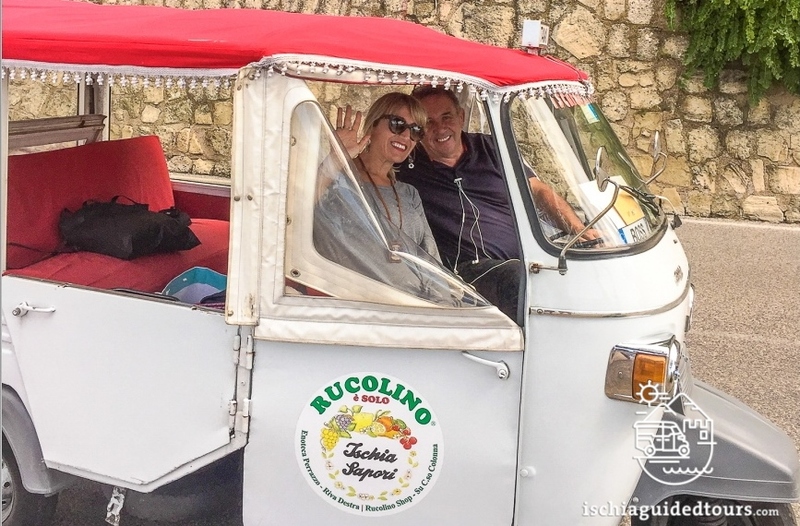 Along the tour we stop several times for photographs at Ischia’s most beautiful locations: the Castle Aragonese in Ischia Ponte (from the outside), Lacco Ameno and the “Mushroom Rock”, the stone houses in Serrara Fontana, the “Lovers Rocks” and the “Torrione Tower” in Forio, etc. We visit the picturesque village of Sant’Angelo on foot with time for coffee or shopping in the local craft shops. The tour ends back at your hotel or the port of departure. 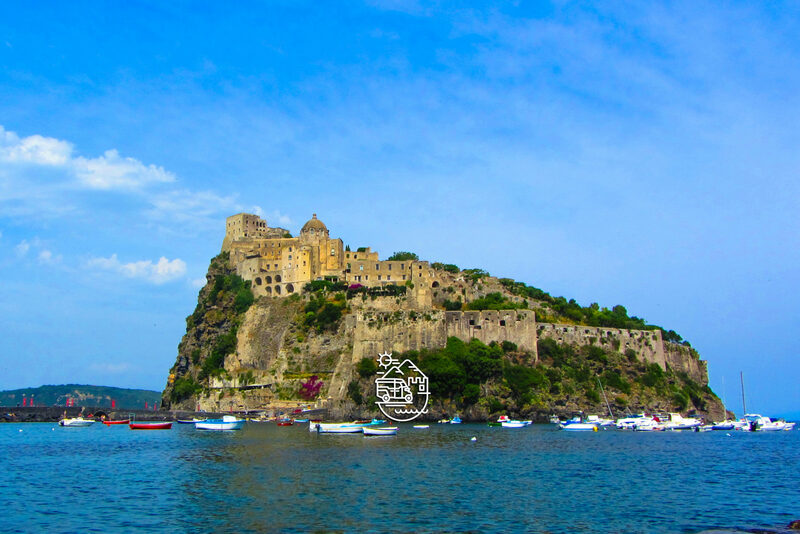 The tour starts from your hotel in Ischia or from any port of the island if you are visiting Ischia for the day. Along the tour we stop several times for photographs at Ischia’s most beautiful locations: the Castle Aragonese in Ischia Ponte (from the outside), Maronti Beach, Lacco Ameno and the “Mushroom Rock”, the stone houses in Serrara Fontana, the “Lovers Rocks” and Santa Maria del Soccorso’s Church in Forio, the picturesque village of Sant’Angelo. At around 13:30 we stop for lunch at a local restaurant to have a traditional Ischian meal, based on fresh fish and sea food or the typical Ischian rabbit casserole, “Coniglio all’Ischitana”. After lunch we continue the tour around the island for more sightseeing and we end the tour back at your hotel or the port of departure. All tours include micro taxi, driver and English speaking licensed guide on board. The itinerary of the tours may change due to unpredictable factors such as weather or traffic. The price of the tours doesn’t include lunch, drinks or entrance fees where applicable. Official tour guides are the only people authorized by the Italian government who are allowed to run tours legally after passing the regional exam and are then licensed as professional tour guides.